Developers James Brady and Brian Eng plan a mix of residential, office and other uses on the Lincoln Street property. 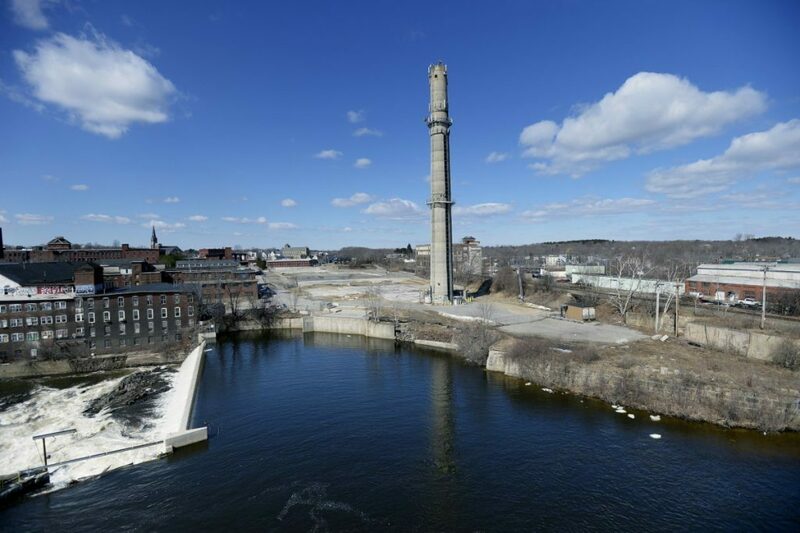 Biddeford has reached an agreement with developers to proceed with an ambitious redevelopment of city-owned downtown property that was once home to a trash incinerator. Developers James Brady and Brian Eng, the team behind BE Fitler LLC, want to create a mixed-use development of residential, retail, office, hospitality, education and service uses on the property at 3 Lincoln St. Potential tenants include the University of New England, which is interested in leasing 50,000 square feet, according to city officials. The city bought the Lincoln Street property for $6.65 million in 2012 after Casella Waste Systems, the parent company of Maine Energy, announced it would close the facility. In the past six years, downtown Biddeford, which includes the mill district, has been undergoing a revitalization that includes new businesses, hundreds of new housing units and investments in the RiverWalk and public infrastructure. City officials and developers say much of that growth occurred because the Maine Energy trash incinerator was removed, prompting several owners of nearby former mill buildings to invest in new housing projects. More than $100 million in new investment downtown has been announced since the trash incinerator was removed. The property has been used for parking for the past several years. Brady and Eng first approached the city about the 3 Lincoln St. property in September. The City Council voted 8-1 Tuesday in favor of entering the master plan development agreement, with Councilor John McCurry in opposition. The agreement establishes two development sites on the property, one on each side of the site of a proposed municipal parking garage. The development will encompass about 40 percent of the city-owned land at the site. The developers would buy a portion of the 3 Lincoln St. property for $1.2 million. Mathew Eddy, the city’s director of economic development, said discussions with Brady and Eng over the past several months have created demand for up to 80,000 square feet and it is now time development to proceed. City officials disclosed that UNE is interested in leasing space and said a second well-known potential tenant also is interested. City Manager James Bennett said he could not yet disclose the name of the second potential tenant. BE Fitler LLC will develop a preliminary concept plan over the next three months that will include the layout, scale and design of buildings, as well as utility, pedestrian, transit and transportation connections to nearby streets and the parking structure. After the preliminary concept plan is approved by the city, developers would spend six months creating a site development plan. The agreement says the developers would have six months to obtain all appropriate permits for the project after approval of the site development plan. Brady, whose Portland projects include The Press Hotel, has already dipped his foot into the Biddeford market. In 2017, he purchased the former post office building at 27 Washington St. At the time, he said he was drawn to the Biddeford-Saco area by recent mill redevelopment and the removal of the trash incinerator.